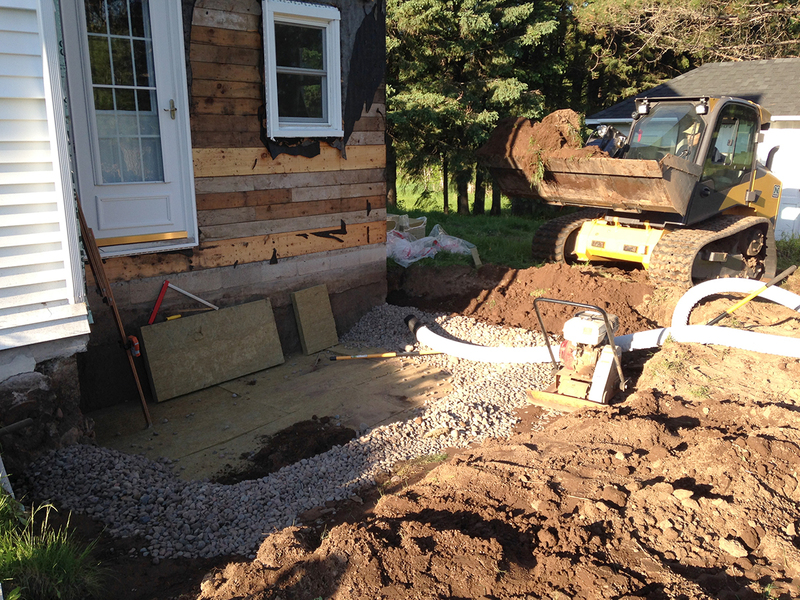 Our challenging climate in the Northland demands a superior insulating material. We at Meteek Supply are excited to offer ROCKWOOL, a breathable, moisture repellent, insect resistant, non-toxic and durable insulation. Super shop dog, Mako, gives her nod of approval. Hello ROCKWOOL! Danish mineral wool manufacturer ROCKWOOL (formerly Roxul in the United States) is the world’s largest manufacturer of mineral wool products. Starting mineral wool manufacturing in 1937, ROCKWOOL has expanded to the U.S. with two facilities, including a new production facility in Ranson, West Virginia just this June. Stone wool, or mineral wool, is a fiber insulation spun from molten limestone, basalt, or ceramics. 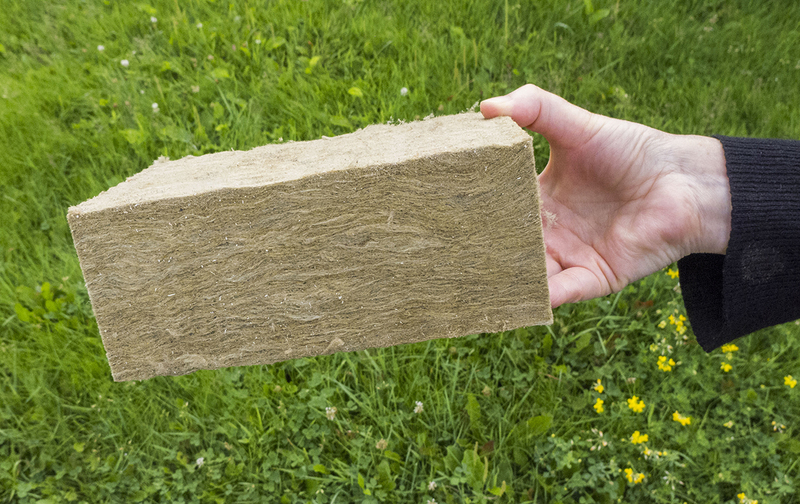 ROCKWOOL insulation is a rock-based stone fiber insulation comprised of basalt rock that is 100% recyclable. Stone wool insulation has a unique structure, which keeps its shape and toughness despite changes in temperature or humidity. Consequently the performance does not change, decade after decade. That adds up to energy and maintenance savings throughout a building’s lifetime. ROCKWOOL: superstrengthified insulation with brilliant performance. Due to its dense fiber structure, ROCKWOOL stone wool is also easy to install. Most importantly, it adapts to all types of irregularities. As a result, this superstrengthified insulation performs brilliantly. 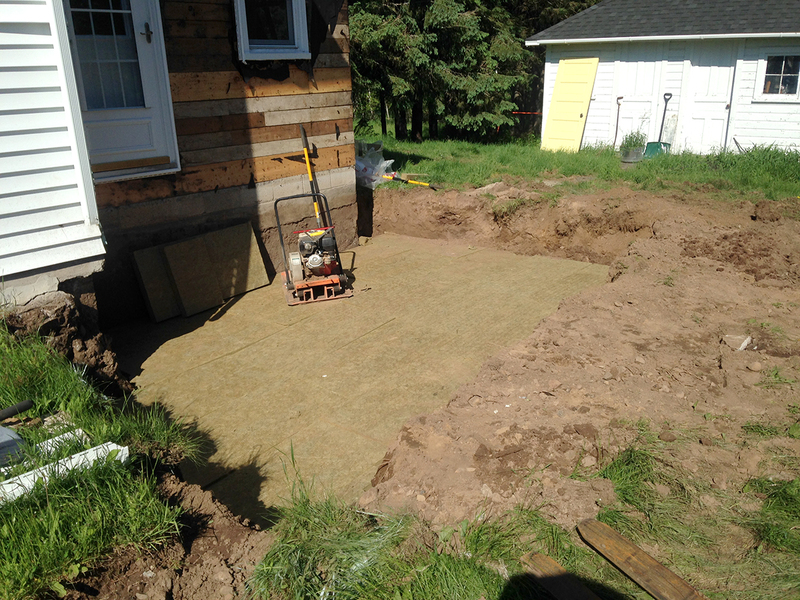 We found ROCKWOOL a great choice for a frost-protected shallow foundation for our addition project in Gnesen Township. Because of its non-organic composition, ROCKWOOL doesn’t provide a food source for mold or mildew to grow. Nor is it attractive to insects or rodents. 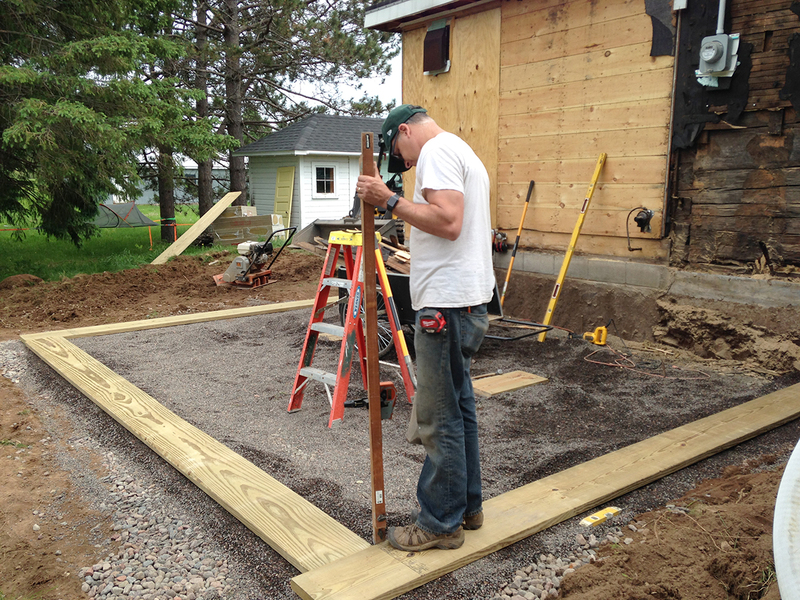 Randy installs the ROCKWOOL insulation in the shallow foundation. 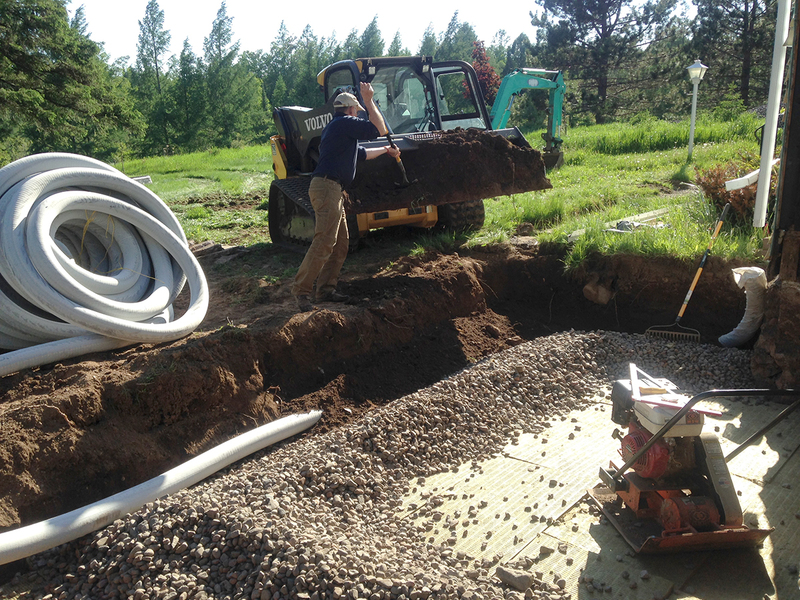 Once gravel and drain tile are installed, Randy covers the drainage materials with soil. Andy levels the foundation for the stem walls. And ROCKWOOL is moisture resistant yet vapor permeable. Because it doesn’t wick water, any water that contacts the outer surface will drain. Furthermore, it wont be absorbed into the body of the insulation. Breathability and moisture resistance are key in a climate like ours where rain and frost can create issues. In addition to its excellent vapor permeability and moisture repellent qualities, ROCKWOOL insulation also offers superior fire resistance. Stone wool is not combustible, because stone is not combustible. Moreover, since house fires burn at a temperature much lower than the melting point of stone, it is therefore an extremely safe choice. Check out the video below to see how beautifully ROCKWOOL holds up to water and flames. Wow! Water resistance demonstration begins at 1:39; fire resilience demo begins at 2:17 in the video. Also noteworthy, ROCKWOOL has a variety of applications in addition to its use in a shallow foundation. We promise to share more in future posts. From excellent thermal properties to extreme fire resilience, from water and mold resistance to durability, ROCKWOOL has it all. 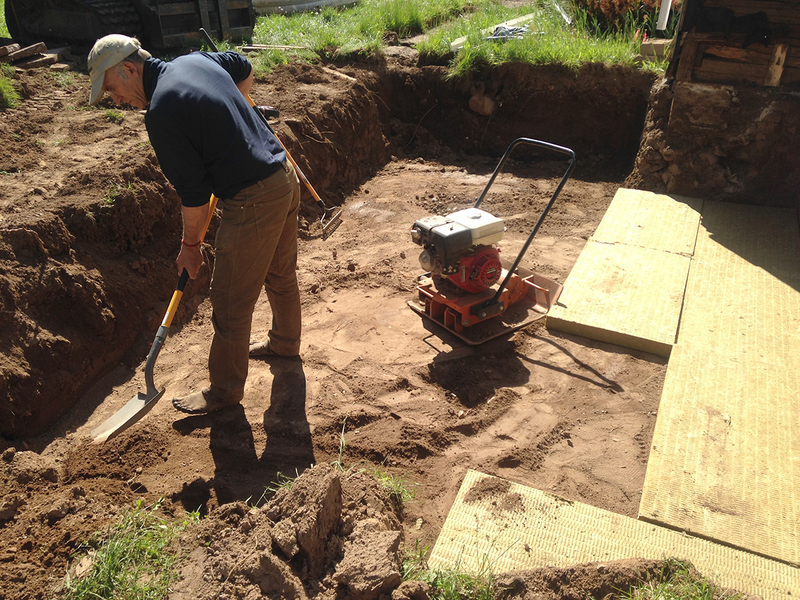 It is a terrific choice for frost protection in a shallow foundation. 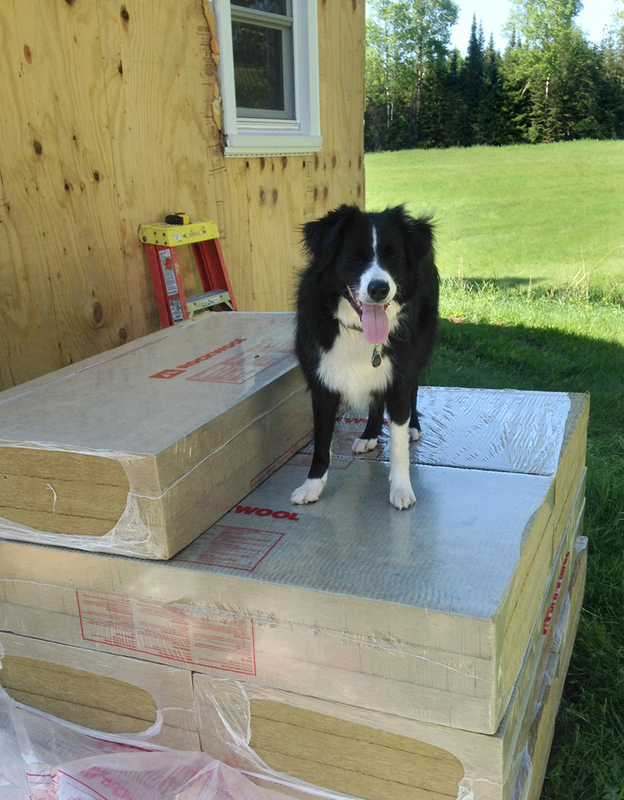 Stay tuned for more uses of high-performance ROCKWOOL insulation!